I realised the other day that I haven’t written anything at all about Leeds Brewery yet. The brewery has been in production since 2007, and it’s got a stable of good, solid modern beers, and a trio of staggeringly good pubs to sell it in. 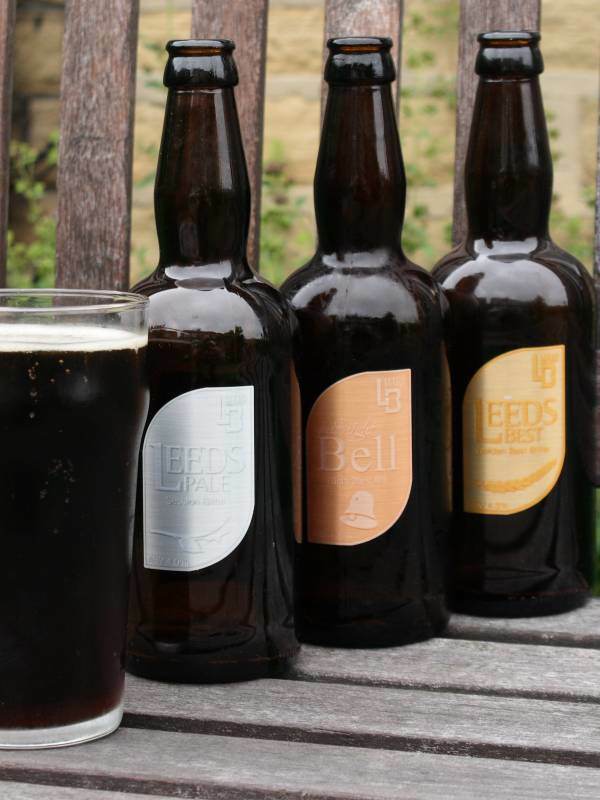 Leeds have three permanent beers, supplemented by a range of seasonal brews. Of the permanent fixtures, Midnight Bell, a dark, chocolatey mild is the pick of the crop, a lovely smooth drink. Pale is very dry and bitter, packed with hops, and it’s extremely good indeed. Best is a classic bitter with a carefully balanced taste. The seasonal beers include a very good lager, brewed upstairs in a micro micro-brewery at The Brewery Tap, just across from the station. Next up in August is Funfair, trailled as ‘a summer thirst quencher’. It’s good to see a Leeds success story, in the long shadow of Tetley’s sad and painful divorce from the city. I won’t dwell on the pubs, but I’ll come back to them later. It’s enough to say that I think The Brewery Tap has hit that perfect balance between being a proper pub and being modern, open and accessible. It’s a real joy. I’ll leave the more in depth reviews to the brilliant Culture Vulture for now. Great review! I Im totally obsessed by the Leeds brewery and everything they do. I love midnight bell, but I do enjoy the pale too. I think Midnight Bell is superb – it'll be a shame if they take it off, although I'd expect that it'll be back come the winter.